The Xiaomi Pocophone F1 definitely turned some heads of enthusiasts and regular customers. The reason is this sub-$300 phone has some top of the line specs, like Snapdragon 845, 6GB/8GB RAM, 64/128/256GB internal storage, 4,000 mAh battery, and a lot more. Some even called it the OnePlus killer as it’s more affordable. 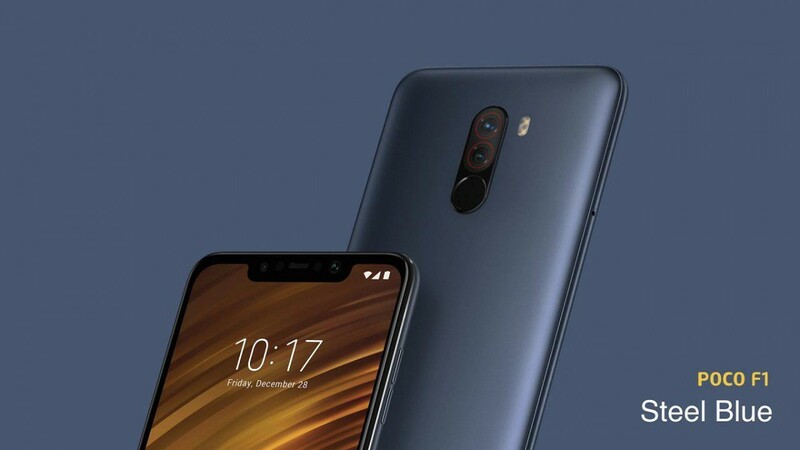 Xiaomi Poco F1 launched in India on the 22nd of August. Today, Xiaomi announced the global availability of the device, in a total of 65 countries. 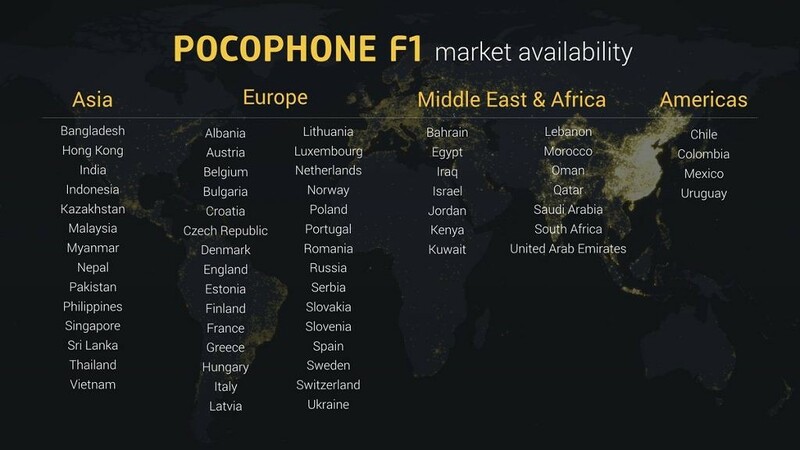 If you’re interested in the country availability, the POCOPHONE Global Twitter account posted it earlier today. As you see from the photo below, US and Canada didn’t get any love. This is not the first time for the Chinese manufacturer to leave them out, whether it’s their choice or not. Xiaomi Poco F1 ticks a lot of boxes for a lot of people. The phone features the latest top of the line specs, wide availability, affordable price tag, and lot more. But, as many phones in 2018, it’s not perfect. It has a big notch and lacks NFC and OIS. These features are rarely used in developing countries like India and others, so that’s probably why Xiaomi cheaped out on them. Still, if you’re looking for a device that looks and feels like a flagship, but has a very low price, the Xiaomi Pocophone F1 is a hard to beat option.